April 2018 in Armenia was marked by massive grassroots protests, the resignation of the newly-nominated prime minister, and complex political negotiations. Prime Minister Serzh Sargsyan, who formerly served as President for a decade, resigned on April 23, after 11 days of massive protests. While resigning, Sargsyan said: “Nikol Pashinyan was right. I was wrong.” MP Nikol Pashinyan, the head of the Yelk Bloc, emerged as the undisputed leader of these recent protests. On May 1, the failure of the National Assembly to nominate Mr Pashinyan as provisional Prime Minister has led to a new wave of intensified protests. While most analysts were surprised by the resignation of Sargsyan and the beginning of a new political process, elements of continuity can be observed, both at domestic and international level. First, the grassroots protests against Serzh Sargsyan’s extended term in office were sudden, but can be traced back to December 2015, when a controversial constitutional reform was approved. Second, while Russia has taken a non-interventionist stance, all actors involved are fully aware of the importance of the “big brother”. Armenia is a peculiar case in the post-Soviet space. While Freedom House classifies the country as a “partly-free regime”, Armenians have often taken to the streets against unpopular provisions, such as the increase in bus fares in 2013, the pension reform in 2014, and the increase in electricity prices in Summer 2015 (known as ‘Electric Yerevan’). Against this background, it is not surprising that people closely scrutinised the manoeuvring of their political leaders. On April 11, the ruling Republican Party (HHK) officially confirmed that Serzh Sargsyan would be nominated (and therefore elected) prime minister. While initially a limited number of people took to the streets, soon numbers added up, and thousands of people participated in the rallies, during which there were numerous clashes between the police and protesters. On April 22, after a meeting with the now prime minister Serzh Sargsyan, the protest leader Nikol Pashinyan and some of his closest associates were taken into custody. However, Mr Pashinyan was released the following day and shortly after Prime minister Serzh Sargsyan announced his resignation. As required by the law, the government resigned on the same day and first Deputy Prime Minister, Karen Karapetyan, was named acting PM. However, the rallies did not stop, as Mr Pashinyan, backed by numerous supporters, aimed to become the provisional prime minister, so to supervise the preparation of free and fair elections. It was feared the ruling party HHK would manipulate any transitional process, by using administrative resources to reconsolidate their power. On May 1, due to the opposition of the Republican Party, Pashinyan failed to be elected provisional Prime Minister. As things stand, a new parliamentary debate has been scheduled for May 8. As per the Armenian constitution, if the National Assembly is again unable to select a premier, this impasse would automatically lead to the dissolution of the legislature and snap elections. As a reaction, Pashinyan called for ‘Nationwide Civil Disobedience’. In the words of Pashinyan: “The peaceful revolution goes on (…) We’re not going to let them steal our victory”. Nikol Pashinyan’s background is particularly remarkable. While other status-quo challengers in the region, first and foremost former President of Georgia Saakashvili, were previously Cabinet members, Pashinyan used to be a political prisoner. In 2010, he was sentenced to seven years for his role as an organiser in the anti-government protests of 2008. However, as a result of an amnesty, he was released the following year. While the aforementioned dynamics are undisputedly domestic, all parties involved need to take into account the international environment, first and foremost Russia. As of 1999, Armenian foreign policy has been characterised by complementarity, which implies a diversified foreign policy within the leeway granted to it by Russia. While some external observers have interpreted the protests as anti-Russian, Nikol Pashinyan, formerly known for his Russian-sceptic positions, has shown his awareness of the geopolitical constraints faced by his country. When the protests started, some external observers said that they might be the prelude to an anti-Russian turn in Armenia. Former Georgian President Saakashvili, who framed the events as an anti-Russian uprising, unambiguously said that: “This is a very black day for Vladimir Putin. First, the West threatened him and imposed sanctions against him, hitting his oligarchs, and now they are squeezing the scope of his influence.” Similar comments were made by members of the Georgian parliamentary opposition. Analogously, some Ukrainian media drew parallelisms between the current events in Armenia and the Maidan protests in 2014, which resulted in the ousting of the pro-Russian Yanukovych government. For instance, journalist Ihor Solovey wrote that: “The street has won, and Russia has lost”, and therefore Serzh Sargsyan’s resignation should be understood as a “Russian foreign police failure“. Despite this reading of events, Russian officials clearly refrained from making an alarmist comments, as if to emphasise that the Kremlin was not planning to interfere. Dmitry Peskov, the Kremlin spokesman, told journalists that Yerevan was: “Not going down the path of destabilisation“. Additionally, he specified that Russia hoped for: “Consensus among all the forces representing the Armenian people“. Similarly, Maria Zakharova, the Foreign Ministry spokeswoman, praised Armenia on Facebook for: “Not becoming divided, and maintaining respect for one another, despite definite disagreements“. Looking at the media coverage, Kremlin-friendly channels mostly ignored the events in Armenia until the resignation of Prime Minister Sargsyan and after that they commented on the festive attitude at the rallies. In some cases, it was openly said that the happenings in Yerevan were something completely different from Maidan. This conciliatory attitude by Russia must not be confused with lack of interest. Russian officials and politicians made sure to keep their channels open with all the parties involved. On April 25, Putin had a conversation with Armenian President Armen Sarkissian. The same week, while Armenian Foreign Minister Edward Nalbandian met his Russian counterpart Lavrov, another meeting took place between some Russian diplomats and Nikol Pashinyan, who understands very well that a successful transition cannot happen without Russian support. Previously, Nikol Pashinyan and his Yelk Bloc adopted clear Russo-sceptic positions. Notably, in Autumn 2017, they proposed a legislative initiative to the Armenian National Assembly which would have created a commission on withdrawal of Armenia from the Russian-led Eurasian Economic Union (EEU). According to Pashinyan, membership in the EEU harmed the growth of Armenia, as it restricted its opportunities for international trade. Additionally, he also made security-related considerations, calling the deepening military ties between Armenia and Russia “humiliating”, just at the Kremlin was also reinforcing its military-strategic cooperation with hostile Turkey and Azerbaijan. Loda, C., 2017. The European Union as a normative power: the case of Armenia. East European Politics, 33(2), pp.275-290. This blog has covered the constitutional reform as of 2015, analysing its details, the pre-vote dynamics, and the relevant debate in 2016 and 2017. ARMINFO News Agency. 2018. ‘In parallel with the reduction of the powers of the president of the country, his apparatus will be reduced’, March 7 (Retrieved through LexisNexis). BBC Monitoring Trans Caucasus Unit. 2016. “Armenian pundit eyes reasons, future of ‘velvet revolution’”, April 26 (Retrieved through LexisNexis). ARMINFO News Agency. 2011. “Nikol Pashinyan released”, 28 May (Retrieved through LexisNexis). Loda, C., 2017. The foreign policy behaviour of Armenia, Georgia and Azerbaijan (Doctoral dissertation, Dublin City University), p. 3. However, other Georgian politicians spoke about the importance to maintain good relations with Armenia, regardless of the recent development [BBC Monitoring Trans Caucasus Unit. 2018. “Some in Georgia see Armenian developments as blow to Russia”, April 24 (Retrieved through LexisNexis)]. BBC Monitoring. 2018. “Former Soviet media view Armenian protests in Russian context”, 25 April (Retrieved through Lexis Nexis). BBC Monitoring Kiev Unit. 2018. “Ukrainian media hail victory of ‘Armenian Maidan’”, 24 April (Retrieved through LexisNexis). “Armenian National Assembly discusses legislative initiative on withdrawal from EEU”, 3 October (Retrieved through LexisNexis). ARMINFO News Agency. 2017. “Hot debates in Armenian Parliament over creating the United Group of Armenian-Russian troops: Block Yelk considers the document humiliating and “vassal””, 4 October (retrieved through LexisNexis). This entry was posted in Armenia, Caucasus, Russia and tagged Armenia, Constitutional Reform, grassroots protests on May 3, 2018 by Chiara Loda. Today Chad’s National Assembly is scheduled to vote on a new constitution that will change the country’s political system from semi-presidential to presidential. The text adopted in a cabinet meeting on April 10 is based on recommendations from participants in an eight-day forum held in March, boycotted by the opposition. The new supreme law of the country will inaugurate the IVth Republic, replacing the previous constitution governing the IIIrd Republic in place since 1996. The 1996 text was a result of the 1993 national conference organized by Déby in an effort to legitimize his rule after ousting former President Hissène Habré in 1990. As was the case in other former French colonies in Africa that undertook political openings in the early 1990s, Chad adopted a semi-presidential constitution closely modeled on that of the Vth French Republic [May and Massey 2001, p.15]. It was amended in 2005 to remove presidential term limits, and again in 2013 to allow the president to belong to a political party and making it possible for the executive to remove judges. So what prompted this change of constitution? Why abandon semi-presidentialism and return to a presidential system, given that the existence of a dual executive does not appear to have cramped Déby’s style thus far? Déby – in power since 1990 – has had an impressive list of prime ministers – incumbent Prime Minister Albert Pahimi Padacké is number 16. One of his predecessors – Delwa Kassiré Koumakoye – even served twice in the role, with 12 years of interval. On average, prime ministers of Chad have stayed less than two years (no one has reached three years). This frequent circulation has prevented prime ministers from establishing their own power base and ignite presidential ambitions. By completely eliminating the prime minister function, Déby does away with a position that could be used by a potential competitor to launch a bid for the presidency in the next election. Déby promised during his campaign for reelection in 2016 to reintroduce presidential term limits [see previous blog post here]. The new constitution does in fact limit presidential terms to two, while lengthening their duration from 5 to 6 years. However, term limits are not retroactive, meaning that when Déby ends his current term in 2021, he can run for another cumulative 12 years. This kicks the issue of succession a long way down the road. Déby – 65 years old today – would by 2033 be 81. Raising the age limit for presidential candidates from 35 to 45 years, leading to accusations of “gerontocracy” in a country where life expectancy for men is 49 years and for women 52. The move is intended to “avoid us having our Macron,” quipped one observer on social media. Limiting the number of independent oversight institutions by reducing the Constitutional Council, the Court of Accounts and the High Court of Justice to chambers under the Supreme Court. The High Court of Justice in particular used to be an independent institution with responsibility for voting on the impeachment of the president. So to conclude, Déby appears to have bought himself some peace of mind with the new constitution. He will be the sole leader of the executive, no longer having to change prime ministers every two years or so to keep the ambitions of potential challengers in check. The issue of succession is shelved for the next 15 years with the introduction of non-retroactive term limits, and the pool of potential contestants has been reduced significantly by the 10-year increase in the minimum age for presidential candidates. Finally, the ability of other institutions to check his powers while he prolongs his stay in the presidential palace has been reduced. The question remains whether popular dissatisfaction and the power of the street could succeed in bringing about Déby’s downfall, as happened in Burkina Faso when Blaise Compaoré sought to further extend his presidency. Déby has strong support among European powers and the US given Chad’s role as a lynchpin in the fight against terrorism. The US took Chad off its travel ban list earlier this month. The position taken by the Chadian security forces would be crucial for the outcome of any attempted uprising. This entry was posted in Africa, Chad, Presidentialism, Semi-presidentialism and tagged Chad, Constitutional Reform, Idriss Deby, presidentialism, semi-presidentialism on April 30, 2018 by Sophia Moestrup. Armenia – The election of a ceremonial president, but what about the ‘new’ Prime Minister? On March 2, the Armenian parliament elected the next president of the country. The ‘winner’ (and only candidate) was Dr Armen Sarkissian, formerly an academic, Armenian prime minister, and Armenian ambassador to the UK. However, Dr Sarkissian’s prerogatives will be mostly ceremonial, as the 2015 constitutional reform transferred most of the president’s governing powers to the prime minister. While the current President Serzh Sargsyan has not openly expressed his intention to run as prime minister (to be selected in April), he played a crucial role in the nomination of president-elect Armen Sarkissian, fuelling rumours about him becoming prime minister. This triggered not only unhappiness from the opposition, but also protest rallies. In January, President Serzh Sargsyan asked Armen Sarkissian to stand as president. This was not an obvious choice, as Dr Sarkissian has been living abroad (mostly in the UK) for the past decades, holding first academic fellowships and then diplomatic posts. He is known for being a close friend of Prince Charles, who in 2016 hosted a gala dinner to support “Yerevan My Love”, a charity set up by Sarkissian. Additionally, he has been a senior advisor for companies such as British Petroleum, Alcatel and Telefonia. On occasions, doubts have been raised about the transparency of his business activities. His election was marked by some controversy over his eligibility, as a dozen leading NGOs suspected that he did not meet the citizenship requirements. As per the 2015 constitution, presidential candidates must have been solely Armenian citizens for the previous six years. While Armen Sarkissian vehemently declared that he has renounced his British citizenship (acquired in 2002) in 2011, some evidence seems to suggest that he did so only in 2014. Furthermore, he never presented any UK-issued formal document about his citizenship status. However, despite the concerns of the opposition and civil society, members of cabinet dismissed these allegations as groundless. Other than that, the close relationship between the President and President-elect cast some doubts on the legitimacy of the latter. According to the independent Armenian analyst Saro Saroyan, these dynamics are remarkably worrisome: “Will he [Armen Sarkissian] act as a puppet constrained by the lack of legitimacy or as a person with amorphous powers? If the import of such a president to Armenia is to the “credit” of Serzh Sargsyan, there can by default be no other decision in determining the personality of the prime minister. Serzh Sargsyan will be making this decision too”. From this statement, two points can be inferred. The first one concerns the genuine political capital enjoyed by president-elect Armen Sarkissian. The second one is the extraordinary engagement of Serzh Sargsyan in this presidential election, as it seems to confirm his alleged willingness to become premier. Who wants to be a prime minister? In 2015, when a constitutional referendum was announced, rumours started to circulate about President Serzh Sargsyan’s political ambitions. As he was serving his second presidential mandate and was barred from seeking election for a third time, it was suspected that transitioning from a semi-presidential to a parliamentary system was a way for President Sargsyan to retain his power, in the guise of prime minister. In recent times, such suspicion has been reinforced by the further enhancement of the premier’s prerogatives. For instance, the National Security Service and Police will be reporting directly to the premier. Additionally, the prime minister will reside in Bagramyan 26, which is the current presidential residence, and the presidential staff will be considerably downsized (while the prime minister’s team will be enlarged). These changes, which add up to the (dramatic) constitutional empowerment of the prime minister’s powers, further reinforced the opposition’s firm belief that Serzh Sargsyan will be nominated by the HHK as the next premier. As observed by analysts and members of the opposition, Serzh Sargsyan “Would not have vested such broad powers in anyone except for himself”. The HHK party, supported by the junior partner Dashnaktsutyun, enjoys a parliamentary majority solid enough to install any candidate of its choice. Remarkably, even though President Serzh Sargsyan has not announced his plans yet, senior members of his party (HHK) have indicated that he is the ideal prime minister. Eduard Sharmazanov, the deputy speaker of parliament, said that the HHK party will formally discuss it after April 9, as a final choice is not due to until April 16. However, in his opinion, President Sargsyan would be the most qualified candidate. Similarly, Vahram Baghdasarian, the head of the HHK parliamentary faction, said that Serzh Sargsyan is the most suitable person for the job, also due to the tensions with Azerbaijan over Nagorno-Karabakh. By contrast, the opposition considers the handling of the Nagorno-Karabakh conflict as one of the reasons why Serzh Sargsyan should step down. According to Nikol Pashinyan, the head of the Yelk faction, the 4-days-war with Azerbaijan in April 2016 exposed the poor conditions of the Armenian army, which was still equipped with weapons from the 1980s. In spite of this evidence, Sargsyan did not take any concrete action to improve the situation. Last weekend, rallies started to take place in the city centre. As noted by Mr Pashinyan, at this point, only massive grassroots protests can prevent Serzh Sargsyan from becoming prime minister. In Pashinyan’s words: “If the people are decisive, and as many go onto the streets as on March 1, 2008, I guarantee that we will prevent the next reproduction of Sargsyan.” In this regard, a newly-formed group called “Front for the State of Armenia”, aims at becoming a key platform for protest and change, uniting both parliamentary and extra-parliamentary opposition. The next rally is already scheduled for March 16. Some sources transliterate his last name as Sargsyan. However, ‘Sarkissian’ is the most widely used version. In 2015, as a result of a constitutional referendum, the powers of the President were drastically reduced and, conversely, those of the Prime Minister were dramatically enhanced. Even if President Serzh Sargsyan never gave unequivocal statements about his long-term political ambitions, from the beginning this reform was widely suspected to be a tool to extend his power after his second, and last, presidential mandate. This blog gave extended coverage to this topic, analysing the details of the reform, the processes before the vote and the pertinent debate in 2016 and 2017. This post, previously published on this blog, deals with the 2017 parliamentary election, explaining in detail which parties and coalitions were elected. BBC Monitoring Trans Caucasus Unit. 2018. ‘Armenian president-elect vows to continue incumbent’s policies’, March 3 (Retrieved through LexisNexis). BBC Monitoring Trans Caucasus Unit. 2018. ‘Karabakh issue ‘resolved’, no need in talks with Baku – Armenian pundit’, March 5 (Retrieved through LexisNexis). Ani Mshetsyan. 2018. ‘Nikol Pashinyan: The only thing that can force Serzh Sargsyan to abandon the post of prime minister is the will of the people’. Arminfo News Agency, March 5 (retrieved through LexisNexis). This entry was posted in Armenia, Caucasus, Presidential power measures, Presidential Profile, Presidentialism and parliamentarism and tagged Armenia, Constitutional Reform, Prime minister power on March 14, 2018 by Chiara Loda. A political crisis continues to grip English-speaking regions of Cameroon, with no real solution on the horizon. A year ago strikes by various legal associations quickly expanded into a full-blown protest movement that encompassed teachers, students, and local trade unions. Underlying the movement are longstanding grievances and feelings of discrimination. These sentiments have been exacerbated by perceptions of misallocation of state resources and uneven representation in the highest levels of government. The government has heavily resisted this movement and responded with violence. During the most recent round of protests a reported 17 people were killed in clashes with security forces. The solution to the crisis is not clear. Dialogue with the government has been limited, and there is no consensus on what an endpoint would look like. The Anglophone crisis involves the resolution of many longstanding issues regarding the region’s British heritage. However, fundamentally the crisis also implies some restructuring of the Cameroonian state. At one extreme are violent groups like the Ambazonia Movement, which advocate for secession. Others like the now-banned Southern Cameroons National Council (SCNC) seem to want a return to federalism, while the Cameroon Anglophone Civil Society Consortium (CACSC) wavers between calls for federalism and decentralization. With these tensions in mind I spoke with Nkongho Felix Agbor-Balla. Agbor-Balla is a human rights lawyer and the president of the CACSC and the Fako Lawyers Association (FAKLA). On January 18, 2017 he was arrested and airlifted to Yaoundé. A 2014 anti-terror law allowed the government to try him in a military tribunal, and he remained in military detention without bail until he was released by presidential decree on August 31st. I spoke to him from London over Skype on October 23. Our conversation, which I excerpt below, revolved primarily around the roots of the Anglophone crisis and the difficulty of resolving it within the context of the Cameroonian political system. The “Anglophone Problem” has historical roots in the country’s brief experiment with federalism that united former British and French territories. The specifics of unification have been covered extensively, but the federal arrangement left significant authority in the hands of the presidency. The president could appoint critical administrative figures, direct the flow of resources, and use emergency powers to curtail political expression. By 1972, both multipartyism and federalism were abolished. Since Anglophones have seen themselves as the main losers of this arrangement. This was true under first president Ahamadou Ahidjo and his successor Paul Biya. At another level the crisis is over the perception that Anglophones have not had an adequate seat at the political table. This is reflected in the distribution of senior appointments and economic resources. For instance, after 1972 many local economic functions were transplanted to Yaoundé, and the government invested in the Douala port rather than Limbe. Most importantly, political exclusion has instilled fear of permanent political alienation from the highest offices of power, namely the presidency. Under Ahidjo the sense was the politics tilted toward the north, while under Biya it is to the south. The government has not conceded much ground. An ad hoc committee led by the Prime Minister was largely maligned by Anglophones, including Agbor-Balla: “These are the same people who are ministers, the prime minster, members of government, parliamentarians. These are people who do not recognize a problem, who have not accounted for previous government atrocities.” Similarly, a National Commission for Bilingualism and Multiculturalism was seen as cosmetic and a way to demonstrate progress to the international community. And it is here that significant tensions emerge. Simply addressing questions of discrimination might not be agreeable to the movement. Agbor-Balla advocates for an inclusive constitutional conference, but his position on the outcome shifts. He maintains that decentralization and some form of truth and reconciliation can work. But, he also noted that anything short of a return to federalism would likely not satisfy Anglophones: “The CACSC believes that that federalism is a midpoint between the unionists and the independence movement. It is a win-win situation.” This involves rotating the presidency between an Anglophone and Francophone, restoring the office of the Vice Presidency, and explicit protections for minority rights. But, this type of change is improbable given the incentives that underlie the Cameroonian political system. The presidency holds together a tenuous multiethnic coalition of entrenched elites who view the question of distribution and political control quite starkly. As Agbor-Balla notes, “They do not have the political will and do not want to lose their control over power. It is a patronage system where you have to have allegiance to them so they can manipulate you.” Indeed, Biya amended the constitution in 2008 to extend his term limits, and is likely to run again in 2018 to prevent a divisive succession crisis. This implies that many of the underlying issues that propel the Anglophone crisis will persist. Absent a clear political strategy that changes the calculus in the presidency, it is difficult to imagine the government embarking on true reform. Biya has demonstrated a willingness to use violence and curtail discussion of federalism and even decentralization. This leaves Anglophones in a precarious situation as different voices pull the movement in various directions, some potentially violent. This entry was posted in Africa, Cameroon and tagged Africa, Anglophone Crisis, Cameroon, Constitutional Reform on November 8, 2017 by Yonatan Morse. On September 26, 2017, the Parliament of Georgia approved a set of constitutional amendments on their third and final reading with 117 lawmakers voting in favor and two against. On October 9, the President of Georgia, Giorgi Margvelashvili, vetoed the constitutional amendments and returned the draft bill to Parliament together with his objections. The president noted six points, four of which reflected commitments made by the governing Georgian Dream party before the Venice Commission. These were: the issue of the electoral bonus for the winning party at legislative elections, the creation of electoral blocks, and issues relating to the constitutional court and religious freedom. The president also noted Georgian Dream’s initiative relating to the introduction of a fully proportional electoral system in 2020. Finally, the president suggested the introduction of an indirect presidential elections at some time in the future rather than after the 2018 election. President Margvelashvili suggested that if Georgian Dream were to accept these proposals, then it would demonstrate that Georgia had a “European” political culture and that the government would be acting in accordance with the Venice Commission. On October 13, the parliament of Georgia overturned the president’s objections with 117 votes and approved the initial version of the document. The ruling party announced several days before the plenary session that they would support president’s objections if the president suggested only two changes: allowing the parties to form electoral blocs for the next parliamentary elections in 2020, and allowing the so-called bonus system. The next step in the constitutional reform was the signing of the constitutional amendment. As the presidential veto had been overturned, many experts believed that the president would not sign the bill into law. According the Georgian constitution, if President fails to promulgate a law within the specified timeframe, the Chairperson of Parliament shall sign and promulgate it. However, one week after the president had vetoed the bill, President Margvelashvili signed the amendments into law. The president made a special statement before signing the amendments. He said that it was extremely difficult for him to sign the Constitution. However, he said that he would do so to avoid any destabilization. The new constitution will enter into force following the next presidential elections in 2018. This means that the 2018 presidential election will still be held directly. More generally, the president remains the head of state, the commander-in-chief and the country’s representative in foreign relations, but no longer ensures “the functioning of state bodies within the scope of his/her powers granted by the Constitution.” At the following presidential election, the president will be elected by way of an electoral college composed of 300 members, including MPs, members of two Autonomous Republics and local government representatives. Thus, semi-presidentialism will be remain in Georgia until after the 2018 presidential election. Next year will show how successful the amendments turn out to be. This entry was posted in Caucasus, Georgia and tagged Constitutional Reform, Georgia, semi-presidentialism on October 26, 2017 by Malkhaz Nakashidze. This is guest post by Jörg Michael Dostal, Associate Professor in the Graduate School of Public Administration, Seoul National University, Korea. There is consensus in writings about South Korean politics (subsequently referred to as Korea) suggesting that the country’s ‘imperial presidency’ constitutes the major power centre. In the Korean context, the term ‘imperial’ is used to signify that the institution of the presidency, namely the president and his/her presidential office, enjoy dominance over the other political institutions, such as the prime minister (appointed by the president and approved by parliament), ministries and other state agencies. In the relationship between the presidency and Korea’s parliament (the National Assembly), the president also exercises strong direct and indirect control over legislation, via his right to appoint the state council (the government) which can put forward legislation and his ability to directly issue presidential decrees. Although parliament performs the role of principal legislator and must agree on the annual national budget as submitted by the executive branch headed by the president, its supervisory role is much diminished if the president’s party holds a parliamentary majority. In addition, the Korean president controls foreign policy-making, the state security institutions and the national military. Thus, in the Korean context the term ‘imperial presidency’ suggests the president’s concurrent control of domestic and foreign policy-making for which the current Korean Constitution of 1987 provides the enabling framework . The Korean use of the term therefore differs from Arthur Schlesinger Jr.’s famous description of the US ‘imperial presidency’ that hinted at ‘executive excess’, namely offences against the balance of power as outlined in the US Constitution, such as presidential foreign policy-making based on inner circle decision-making without the involvement of Congress – e.g. the presidencies of Richard Nixon and George W. Bush. In the Korean case, the 1987 Constitution in fact facilitates presidential dominance and would require amendments in order to create a more balanced political system. Overall, Korea’s political and constitutional history since 1948 can be divided into the periods of authoritarian rule – strongmen backed up by the military – between 1948 and 1987, briefly punctuated between 1960 and 1961 by a parliamentary republic, and the period since the transition to democracy in 1987. The earlier authoritarian periods are referred to as the First and the Third to Fifth Republics. The Second Republic, lasting for less than a year between 1960 and 1961, was Korea’s first effort at democratic governance while the current democratic Korea is referred to as the Sixth Republic. The first Korean Constitution was issued in 1948 and is partially influenced by the US example, although sections about the rights of the individual and the people as the source of all political authority have been ignored under the authoritarian regimes. The 1948 Constitution has been amended nine times and revised four times, most recently in 1987. The earlier revisions mostly concerned procedural issues such as how the president should be elected and the duration of his time in office. The major past event in this respect was the 1972 ‘Yushin Constitution’ that facilitated the continuation of the rule of President Park Chung-hee for an unlimited number of six-year terms that came to an end due to his assassination in 1979. All constitutional provisions between 1948 and 1960 and from 1961 to 1987 were fictitious in providing a thin veneer of façade democracy while unchecked presidential power was always the dominant element in the authoritarian system. Because of this, the most crucial constitutional amendment was the latest one dating from 1987 that provided for the competitive direct election of the president by the people in a single round plurality vote for a non-renewable five-year term in office. Since then, six presidents have entered and left office in five-year spells with the exception of the last one, Park Geun-hye (the daughter of former president Park Chung-hee). Her term in office started in 2013 and came to an end due to a citizens’ protest movement that took off in the autumn of 2016 in reaction to revelations about her abuse of office, namely allowing her confidante Choi Soon-sil to collect ‘donations’ from chaebols (Korean business conglomerates) for ‘foundations’, i.e. monies were extracted in exchange for influence paddling. This revelation, currently still under investigation alongside other charges, resulted in her impeachment by the National Assembly on 9 December 2016, a decision that was upheld by the Constitutional Court on 10 March 2017, ending her presidency. She was subsequently, on 30 March 2017, arrested to facilitate ongoing investigations by the prosecutor, and her arrest was extended for another six-month period on 13 October 2017. The new liberal President Moon Jae-in of the Democratic Party of Korea, elected on 9 May 2017, has announced that he intends to push for constitutional changes to reform the political system to uproot ‘deep-rooted irregularities accumulated over the last nine years’ . He has further specified that he expects such changes to be subject to a popular referendum to be run concurrently with the next local government election that is scheduled for the July of 2018. Significantly, talk about constitutional reform has been something of an evergreen in recent Korean politics. There was debate about reform under the last four presidencies, namely the ones led by the liberals Kim Dae-jung (1998-2003), Roh Moo-hyun (2003-2008) and the conservatives Lee Myung-bak (2008-2013) and Park Geun-hye (2013-2017). These debates focused on reforming the presidency in a way that would strengthen other political institutions, perhaps in exchange for removing the single-term limit on the presidency to make the system conform with the US example allowing for two consecutive four-year terms in office. In this context, the most commonly voiced reform scenarios concerned semi-presidentialism (dividing authority between domestic and foreign policy-making and handing the former to the prime minister), or strengthening of the role of the National Assembly vis-à-vis the president. However, these debates were somehow academic and/or journalistic in the sense that other countries and their systems were presented to a Korean audience that took note, but was still not strongly committed to any particular reform course. No action was taken. However, the new President Moon is more strongly committed to constitutional reform in comparison to his predecessors, and his high popular approval rates backed up by a narrow majority of liberal forces in the National Assembly (his own party holds 121 out of 299 seats in parliament while another liberal parties hold 40 seats) makes for a more enabling reform environment. Yet the liberal camp is short of the required two-third majority in parliament that is necessary to pass a constitutional reform bill, which would in turn enable the president to submit such proposal to a popular referendum next year. In other words, President Moon needs cooperation from at least some conservatives to find enough votes in parliament to ensure passage . If this is in fact possible is currently an entirely open question. After all, the normal behavioural pattern of liberals and conservatives in Korea has been all-out confrontation rather than cooperation. Nevertheless, thirty years after the last constitutional reform that issued in democracy in 1987, another round of reform appears at least plausible. But what are we to expect? In terms of potential reform scenarios, the options include the already mentioned semi-presidentialism, although this idea has so far not triggered much support. Other conceivable changes would concern the relationship between the presidency and the ensemble of the other political institutions mentioned in the 1987 Constitution, making the former less ‘imperial’ and strengthening the latter. For example, the presidential office that is currently made up of presidential appointees and controls the other institutions could hand over some powers to other actors. Another option would be to make the political system less centralised, by expanding the decision-making power of local governments. One could also think of efforts to change the way the legislature is elected, by changing the voting system from the currently dominant plurality system to a system that expands proportional representation. Such change would have the potential to transform the party system and could perhaps overcome the current patterns of political behaviour that is mostly based on personal loyalties to individual leaders and regionalism rather than political programmes and ideology. Any constitutional reform scenario ultimately poses hard questions about the actual state of the country’s democratic capabilities. While the current mainstream view is the optimistic assertion that the unseating of Park Geun-hye, due to the popular protests in 2016 and 2017 with millions of participants in peaceful street rallies, has proven the resilience of democratic values and popular engagement in Korea, this view has not been universally shared. One observer has suggested that Koreans in all socio-economic groups mostly prefer paternalistic leadership over liberal democracy. The author further holds that ‘socioeconomic modernization has failed to emancipate the people from illiberal norms’, arguing that the ‘internalization of norms promoting hierarchism, collectivism, conformism, and [cultural] monism in social life … [promote] affinity for paternalistic autocracy’. These assertions, based on data from the 2015 Asian Barometer Korean survey, point back to the problem of the relationship between Confucian values and pluralist democracy . In a similar vein, the current writer has suggested that Korean democracy suffers from clashes between constitutional, Confucian and hyper-capitalistic norms and values. Such competition produces a permanent state of flux; each of the three normative orientations have moments of dominance. As a result, interpersonal trust is low, which facilitates a highly competitive individualism taking advantage of weak institutional checks and balances. Any reform path would require overcoming the ‘winner-takes-all’ mentality in order to consolidate institutions of political participation based on deliberation and coalition-building . The reality of Korean democracy is that there has been limited progress in terms of strengthening of formal institutions. Namely, the chaebols and their economic interests have always dominated the political agenda, while civil society actors have been weakly institutionalised and usually powerless. In turn, political parties also display little by way of an internal life beyond the leader-follower relationship. This spills over into the way the parties conduct parliamentary business. If institutions other than the presidency are expected to acquire a larger role in the future, their capabilities would have to be strengthened from the bottom up as much as from the top down. Clearly, one of the paradoxes of President Moon’s plan of making the presidency surrender some of its power in favour of other institutions is that the current system would still demand him to assume leadership on devolving such power. This is necessary because the other potential actor of devolution, namely parliament, might be gridlocked if liberals and conservatives fail to agree on joined-up reform. In case of failure, President Moon could have a second shot at constitutional reform in 2020 when the next national parliamentary elections are due and the liberals could theoretically gain a two-thirds majority enabling them to act without the backing of conservatives. Yet such a surge in a president’s popularity at a later stage of his/her tenure has not happened so far in the post-1987 democratic system. Instead, presidents usually lose some of their previous support in parliament during later stages of their tenure, and their agenda-setting power is subsequently much diminished. Thus, whether the current round of constitutional reform debate is going to produce results is still an open question. Yong-duck Jung, The Korean State, Public Administration, and Development: Past, Present and Future Challenges, Seoul: Seoul National University Press, 2014, pp. 67-119. No stated author, ‘What Moon Jae-in pledged to do as president’, Korea Herald, 10 May 2017, http://www.koreaherald.com/view.php?ud=20170509000521. Hyo-jin Kim, ‘Constitutional talks may lose steam’, Korea Times, 16 October 2017, https://www.koreatimes.co.kr/www/nation/2017/10/356_237679.html. Doh-chull Shin, ‘President Park Geun-hye and the Deconsolidation of Liberal Democracy in South Korea: Exploring its Cultural Roots’, Center for the Study of Democracy, UC Irvine, 14 July 2017, pp. 9, 13, https://escholarship.org/uc/item/1t68c47v. Jörg Michael Dostal, ‘South Korean Presidential Politics Turns Liberal: Transformative Change or Business as Usual?’, The Political Quarterly, 88, 3, 2017: 480-491, http://gspa.snu.ac.kr/sites/gspa.snu.ac.kr/files/Dostal-2017-The_Political_Quarterly%2088%283%29.pdf. Jörg Michael Dostal (jmdostal@snu.ac.kr) is an Associate Professor in the Graduate School of Public Administration, Seoul National University, Korea. He teaches comparative politics and has recently published on the politics of Germany, Switzerland, Syria and South Korea. His publications are available here: http://gspa.snu.ac.kr/node/76. This entry was posted in Asia, South Korea and tagged Constitutional Reform, South Korea on October 18, 2017 by Robert Elgie. On 2 April 2017, a parliamentary election took place in Armenia. This was a particularly remarkable event in the political life of the country, as it was the first national vote after the approval of the constitutional reform, in December 2015 and the subsequent adoption of a new electoral code. The victory of the Republican Party, which has been in power since 1999, makes it possible for the incumbent, President Serzh Sargsyan, to think of taking on a prominent political role after the end of his second (and last) presidential mandate in 2018. In spite of the emphasis by the ruling political cadres, the president included, on the proper management of the electoral process, domestic and international observers have lamented malpractices both during the electoral campaign and the election itself. In spite of these concerns, most international observers have refrained from condemning the overall result. This post will offer a detailed account of these issues. On Monday 10 April, the results were published by the Central Committee Election (CEC). Of the 105 seats in Parliament, 58 were won by the Republican Party, 31 by the Tsaroukyan bloc (led by the businessman Tagik Tsaroukyan), 9 by the Yeld bloc, and 7 by the Dashnaktsutyun Party (ARF) . As prescribed by the new electoral code, four representatives of ethnic minorities were elected under a special quota. Three of them were allied with the Republican party (Assyrian, Kurdish and Yazidi) while the other one, a representative of the Russian community, run with the Tsaroukyan bloc. The formations which did not meet the 5% threshold, and therefore were not assigned any seat, were: the ANC–PPA Alliance, the Ohanyan-Raffi-Oskanian Alliance, Armenian Renaissance, the Free Democrats Party and the Armenian Communist Party. While the results could be interpreted as a narrow victory for the Republican party and will mean that the party will probably resort to a coalition, it is undoubtedly a more favourable result than what was predicted by surveys immediately before the election. Notably, the opinion polls released at the end of March by the KOG Institute and the Demokratijos projektai foresaw the “Tsarukyan bloc” as the clear-cut winner, with 40,4% of the vote, and the ruling Republican Party collapsing to 19.4%. Meanwhile, the poll organised by the Russian Public Opinion Research Center (VCIOM) predicted the Tsarkukian’s bloc would gain 41% of preferences, and the Republican Party 39%. This plurality of candidates had an impact on the electoral campaign, which was characterised by an unusual level of activism by candidates. Most of them were campaigned on a similar political platform, based on day-to-day economic issues, such as unemployment, low salaries and rampant emigration rather than macro issues such as any geopolitical confrontation. Citizens reported an unusually high number of visits from party representatives and pamphlets sent to their address. In spite of this genuine electoral competition, some misconduct has been reported. Notably, at the end of March, the Union of Informed Citizens (UIC), an Armenian civic organisation, declared that school principals across the country were urging their staff and their students’ families to cast their vote for the Republican Party. While the ruling party did not deny this allegation tout court, the actions were dismissed as the spontaneous campaign of private citizens in a manner that was perfectly consistent with the provisions of the electoral code. This last point was contradicted by the UIC’s findings, which outlined 136 cases of school directors being given instructions by representatives of the Republican Party. Due to these episodes, the opposition ORO and YELK blocs appealed to the CEC, asking for the disqualification of the Republican Party. Both appeals were rejected. In addition, some disinformation campaigns seemed having been attempted. In March, some Russian Twitter accounts posted the above e-mail supposedly leaked from USAID to demonstrate that external forces were actively manipulating the election results. USAID immediately dismissed the e-mail as a fraud, claiming that the staff would not have sent anything like that (in broken English) from a Gmail account. External actors were concerned about the conduct of the campaign. On 16 March Piotr Switalski, the head of the EU delegation in Armenia, invited Armenian voters not to get involved in electoral fraud, either by participating actively or by looking the other way. During his speech, he openly mentioned vote-buying, saying: “Don’t be exposed to the temptation of selling your vote. You may be approached by people who will be offering you money, services, promises in exchange for your vote. There is no money in the world that can be worth selling your vote”. This was not an isolated comment, as, in the following weeks, the United States and the EU Mission in Armenia put out a joint statement noting their concern about: “allegations of voter intimidation, attempts to buy votes, and the systemic use of administrative resources to aid certain competing parties.” In other words, in spite of the electronic system of voter identification provided by international donors (already mentioned in this blog), foreign diplomats based in Yerevan voiced their concern about a fraudulent electoral environment. Most assessments of the Election Day, except by the CIS monitoring mission, mentioned some types of irregularities. However, external observers refrained from labelling the overall process as not free and fair. The International Election Observation Mission (EOM) reported that: “The 2 April parliamentary elections were well administered and fundamental freedoms were generally respected. [However], the elections were tainted by credible information about vote-buying, and pressure on civil servants and employees of private companies”. In other words, while the overall process was not dismissed as fraudulent, the broader electoral climate was described as plagued by illegal practices and petty corruption. A similarly cautious statement was made by an EEAS spokesperson who, while fully endorsing all the shortcomings pointed out by the EOM, commented that: “The election result nevertheless reflects the overall will of the Armenian people”. It also added: “We look forward to working with the democratically elected new Parliament and Government”. This statement was not complemented by any declaration of the EU delegation in Armenia, as ambassador Switalski declined to comment on the electoral result. Domestic criticism, from both civic and political activists, was much more critical. The Citizen Observer Initiative denounced widespread violations in the conduct of the elections, outlining episodes such as controlled voting, the manipulation of voter lists, pressure and bribes, inefficient commission work, insufficient vigilance at polling stations, and the failure of the technical devices. The unelected ANC-PPA not only complained about fraud, but formally appealed to the CEC for the invalidation of the electoral result. Even though this claim was rejected, the parliamentary election results were annulled in a central village in the Aragatsotn province due to widespread fraud. Remarkably, the handing out of vote bribes was admitted even by Eduard Sharmazanov, the spokesperson of the Republic Party, who, however, added that isolated episodes did not affect the overall result. In spite of the shortcomings mentioned above, plus others that had not been included in this post (for reasons of space), people did not take to the streets to demonstrate against the dubious result. That is surprising, considering that, in the past years, elections have almost always triggered widespread demonstrations. Notably, both in 2008 and in 2013, several thousand activists protested against the allegedly rigged presidential election. In spite of all the controversies, both during the campaign and the vote, the Republican Party has emerged as the winner of this election. While the current Prime Minister, Karapetyan, will keep his job until May 2018, the scenario after the end of the presidential mandate of Serzh Sargsyan is still to be defined. As reported previously in this blog, the recent constitutional reform will reduce the prerogatives of the president, making this office mainly ceremonial, and increase those of the prime minister. This power-sharing innovation, introduced shortly before the end of the second presidential mandate of Serzh Sargsyan, has been widely interpreted as an attempt by Sargysan to avoid relinquishing power. For his part, Mr Sargsyan has been extremely laconic in declarations about his future plans. For example, a few days after the elections, he declared in an interview: “I have never planned where I will be in the next stage of my life. I always found myself in places where I was of greater help to our security.” Turning to Prime Minister Karapetyan, he is by far one of the most popular figures in the party. Even though he was not a candidate for parliament, since he did not meet the residency requirement, his image dominated the campaign of the Republican Party. However, he does not seem to have a solid support network in Yerevan that would enable him to determine his own political future. In conclusion, while no open declaration about the future of Mr Sargsyan has been made, this electoral success may give him the option of avoiding an early political retirement. ARMINFO News Agency. 2017. “Serzh Sargsyan: Big work has been done on conducting elections in accordance to international criteria”, April 3 (Retrieved through LexisNexis). ARMINFO News Agency. 2017. “Armenian CEC presented the final results of Parliamentary elections”, April 10 (Retrieved through LexisNexis). Some speculations are made on the relationship between the Republican party and the Tsarukyan bloc. For example, it has been hypothesised that President Sargsyan covertly supported it, since it subtracted support from other opposition forces. Similarly, before the elections, the analyst Emil Danielyan conjectured about Tsarukyan and Sargsyan having a “tacit understanding” for the future, which could lead either to a formal coalition or a role for the ‘Tsarukyan bloc’ as “constructive opposition”. As of this writing (11/04/2017), a coalition between the two has not been announced. Some school principals involved have sued the Civic Initiative which brought the scandal up to public attention. Armenpress News Agency (English). 2017. ‘CIS observer mission assesses Armenia’s parliamentary election as “open and transparent”’, 3 April (Retrieved through LexisNexis). BBC Monitoring Trans Caucasus Unit. 2017. “Armenia: Observers say polls tainted by vote-buying, pressure”, April 3 (Retrieved through LexisNexis). Arminfo News Agency. 2017. “Sharmazanov to Ter-Petrosyan: Parliamentary elections are the best indicator of Armenia’s democratic development”, April 10 (Retrieved through LexisNexis). Loda, Chiara. “Perception of the EU in Armenia: A View from the Government and Society.” In Caucasus, the EU and Russia-Triangular Cooperation?, pp. 131-152. Nomos Verlagsgesellschaft mbH & Co. KG, 2016, 146. This entry was posted in Armenia, Caucasus and tagged Constitutional Reform, electoral campaign, electoral frauds, international monitoring, parliamentary election on April 12, 2017 by Chiara Loda. On 20 March 2016, the day of parliamentary elections, President Nazarbayev, answering a question from a journalist regarding possible changes to the Constitution, stated: “Changes should be made. The Presidential system of governance exists in Kazakhstan. We can only talk about re-distribution of power between the branches – President, Parliament and the Government. We are thinking in this direction.” Signals that changes were being mooted had also come earlier, in 2015, both before and after the early presidential election. At that time the potential of the Constitution to absorb some changes was hinted at by high-ranking officials, in order to move to “the next stage of development of the political system”. These hints suggested the Parliament and the Government shouldering more responsibility along with the dominant figure of the President, who continues to retain an unqualified right to dissolve the Parliament, decide the fate of the Government or relieve any member of the Government of his/her duties. The detailed analysis of why these changes were needed now lies beyond the scope of this post, but it is commonplace to link them one way or another with the looming transition dilemma, which may lead to political upheavals that are not in the interest of the ruling elite. Therefore, what emerged after a speedy process of amendments in early 2017 is that the President retains or even increases his control over the political system in hypothetical situations when his political dominance and, more importantly, the political system he created comes under threat. At the same time, the President relieved himself of the responsibilities or relinquished rights that are no longer used or deemed unimportant, as control is exerted in the uncontested political space by other means, often more effective or less straightforward. In some cases, this responsibility for preserving the current system became “shared” with the Parliament or Prime Minister through introducing the requirement of consultations (e.g. if the President would like to dissolve a regional representative body) or assigning a more active role in legislating certain public domains (e.g. in the justice sector or the status and competencies of regional governors). The President had an option to put the changes to a national referendum, but opted for the adoption of amendments through parliamentary procedure, which is more predictable as the Parliament is essentially composed of the President’s loyalists whose political future is fully in his hands. After the constitutional reform, the President will not have powers to establish executive bodies that are not part of the Government. The Prime Minister will, after consultations with the Majilis of the Parliament, appoint members of the Government. The President will continue to directly appoint the Minister of Foreign Affairs, the Minister of the Interior and the Minister of Defence and will lose the right to appoint the Minister of Justice, whose appointment will go through a regular procedure, the same as for other members of the Government. The President will not have the responsibility to preside over the most important meetings of the Government, but this right will be at his discretion, depending on necessity. The President will also no longer have the right to suspend fully or partially the legal acts of the Government and Prime Minister. However, the President will retain the right to do so in the case of legal acts of Regional Governors who are appointed by him upon approval from regional representative bodies (although as previously the option for their election will be retained in the Constitution). As mentioned above, the President will also have to consult with the Prime Minister or Speakers of the Parliament if he decides to dissolve a regional representative body. The President will not be responsible any more for approval of state programmes or have the authority to approve the funding allocation and salary scales for the state servants of all state bodies that are funded by the state budget. However, some consultations are possible between the President and Prime Minister on this matter. At the same time the President will have a new right “in the interest of protection of human rights and citizen’s rights, provision of national security, sovereignty, and unity of the state to request the Constitutional Council to consider a law that has entered into legal force or any other act in compliance with the Constitution of the Republic, as well as requesting a ruling in cases of amendment of the Constitution.” In theory, the President may also ask the Constitutional Council to review legal acts of the Government and the Prime Minister, which he could previously suspend. The President continues to play a crucial role in the formation of the Constitutional Council. Some changes are purely symbolic. The amendment was also made that the Parliament of the Republic of Kazakhstan is the supreme representative body that exercises the legislative power. Previously, the Parliament exercised “legislative functions”. The President under certain conditions could also “legislate”. These powers have not been used recently and it seems that they became obsolete in the current system, where any parliamentary elections consistently produce a pliant Parliament. As the President’s party fully controls the Parliament it is not deemed to be as important as in 1995, when the President had to confront a recalcitrant Parliament and legislate by decree to enact some unpopular economic reforms that benefited mostly the ruling elite. The role of the Government was also slightly recast by introduction of the requirement of consultations between the Prime Minister and the Majilis of the Parliament, before the Prime Minister submits candidates for posts in the Government for approval to the President. Therefore, the Government is defined as the collegial body which is accountable not only to the President, but also to the Parliament. In this way, the requirement of consultations is a symbolic competence, rather than an increase of Parliament’s competences. The Senate is now given the right to appoint or relieve the Ombudsman of his/her duties, the authority previously exercised by the President. The President proposes the candidate for this position. This scheme allows the President to effectively control the appointment of the Ombudsman. One-third of each Chamber of the Parliament may ask a member of the Government to report to the Chamber about his/her performance. Two-thirds of the total number of members of the Chamber, after the report has been made, may ask the President to relieve this member of the Government of his/her position in case of non-compliance with the laws of Kazakhstan. The President should then dismiss such a member of the Government. The previous wording of this provision allowed a simple majority to make such a request to the Parliament. If rejected, this request can be made by the simple majority within six months. In this case, the President should dismiss this member of the Government. Such a situation is highly unlikely in the current political system, but if a more diverse parliament body were to be elected at some distant point in the future, it would be very difficult to get two-thirds of the total number of MPs to vote to ask the President to dismiss a minister. This is a typical new provision that gives some power to the Parliament to control the Government, but at the same time makes it difficult to exercise it in practice. The Parliament is also becoming more flexible as to how it organises its legislative process. The President retains the power to assign certain draft laws a priority status. However, these priority draft laws should be considered during the current session, not within one calendar month, as was the case previously, when non-compliance of the Parliament gave the right to the President to adopt the law by his decree. A revised provision also requires that the report of the Government is made not only to the President as before, but also to the Majilis (lower chamber) of the Parliament. According to another amendment, the Government will have to be dissolved when a newly elected Majilis of the Parliament is convened. Previously, the Government had to be automatically dissolved when the new President is elected. The Parliament now has more power to legislate over the criteria regarding judicial posts and the scope of the prosecutorial powers. All requirements will be decided at the level of Constitutional Laws. In fact, this is where the Parliament gains more real powers, in contrast to symbolic adjustments on control over the Government. The 2017 constitutional reform also introduces amendments limiting the scope of immediate application of international treaties, requiring in all cases adoption of respective enabling national legislation. There are also changes that would lead to deprivation of Kazakhstani citizenship where a citizen commits a terrorism-related crime or threatens important interests of the state, which were only introduced in the very last draft of amendments. The application of these new changes may have a chilling impact on the exercise of human rights in Kazakhstan, but the scope of such impact depends on how far the authorities are willing to operationalise the new provisions. For example, calls to change the presidential system may also be considered as a threat to the interests of the state. In this sense, read together the 2017 amendments are aimed both at preserving the current political system, while at the same time making it more stable by re-distributing some powers that may lead to better capacity of the system to absorb potential shocks of the future transition of power in Kazakhstan. Of interest is also the amendment introducing a special legal status for the Astana Financial Centre, which should lead to the creation of a parallel legal system dealing with foreign investments based on a common-law system for commercial matters. This amendment, which is viewed with mistrust by Kazakhstan’s civil society, is proposed by the Kazakhstan authorities as a measure to boost the investment climate in Kazakhstan. It is also seen in the context of another amendment that did not make it to the final draft, giving foreigners full protection of their property in Kazakhstan. It was dropped due to fierce opposition from Kazakhstani civil society, which saw it as a way to sell the most sacred thing – the land – to foreigners by the corrupted ruling elite. Actually, this draft amendment was the only one that led to an overwhelming negative reaction from the civil society, which a few years ago had witnessed a failed attempt to introduce amendments to the land code with the effect to allow foreigners to rent agricultural land for extended periods. The constitutional amendments also include new language of the current article that stipulates that unitary organisation, territorial integrity and the form of governance cannot be changed. Currently, the revised article reads “Established by the Constitution, independence of the state, unitary organisation and territorial integrity, the form of governance as well as the fundamental principles of activity of the Republic, that were established by the Founder of independent Kazakhstan, the First President of the Republic of Kazakhstan – Elbasy, and his status are permanent.” All proposed changes, according to the new article, should be assessed by the Constitutional Council with regard to whether they comply with the above provision. This provision is designed to further guarantee the long life of the political system created by the President. The new revised text of the Constitution was signed by President Nazarbayev on 10 March 2017 and it entered into force on 14 March, the day of official publication. This entry was posted in Central Asia, Kazakhstan and tagged Constitutional Reform, Kazakhstan on April 5, 2017 by Robert Elgie. With two weeks to go until the most important referendum in Turkey for decades, the situation is looking increasingly tense and people are more and more divided. The stakes are high for both sides. If the “no” vote wins, this would shake Erdoğan’s long-standing populist rule. However, if Turkish voters prefer a “yes” vote this would mean not only leaving behind the parliamentary tradition, but also turning the country’s back on basic European ideals, including liberal democracy. The proposed Turkish type of presidential system would grant President Erdoğan the power to redesign the country’s state structure and rule pretty much as he pleases. This system has been promoted as a neo-ottomanist, pro-Islamist reform that would create a national, home-grown system. Since the beginning of the 19th century, Turkey has adopted a model of modernisation. But now, such a modernisation process, which involves the secularisation of state and society, is increasingly being presented by the ruling party, the AKP, as being different from the country’s Islamic culture, despite the fact that Islam was itself an import from the Arab world. The constitutional reform is defended and legitimised as marking the reversal of an unlucky history and the resurrection of the Ottoman Empire, even though the real Ottomans are now long gone. Anyone who is against the reform is portrayed as being either a traitor or a terrorist. This simple and rather superficial propaganda has been repeated so often by President Erdoğan and other AKP politicians that it has dangerously increased the level of polarisation in the country, and which has already been at a very high level for the past 10 years. One journalist who is close to Erdoğan has branded Turks who believe in western ideals as partly alien to their native culture and claimed that even so, if the “yes” vote wins they will be granted the right to live as a sign of generosity since they are good Muslims. This type of thinking hints at the general ideology that is feeding Erdogan’s one-man rule. He is being portrayed as the saviour of Islam who will end the secular republic founded by Atatürk’s revolution. Erdoğan has based his campaign on strong nationalist and Islamist ideals, and has used polarisation as a tool to consolidate conservative right-wing votes. To this end, not only has he promoted internal divisions against both secularists and religious and ethnic minorities, but he has also labeled everyone who rejects his vision of Turkey as being on the same side as the terrorists. His aggressive rhetoric is not limited to internal affairs. He regularly targets the Western world. After Germany, Austria and Holland restricted the AKP’s political rallies in their countries, he had the much needed opportunity to exploit nationalist feelings by attacking the governments of those countries as Nazis, despite the fact that the Turkish law itself bans Turkish political parties from campaigning abroad. His tactical choice of using aggressive, popular and polarising language has paid off in previous elections, given he has not lost since 2002. However, it is not certain how the Turkish public will react to this type of rhetoric now. Economic and political ties with Europe are too strong to be suddenly cut off without any consequences. Erdoğan and other AKP politicians hardly mention the details of the reform. They only claim that a presidential system will make Turkey great and more democratic. There will be no coalitions; therefore the system will bring political stability and economic growth. Erdoğan is not alone in his campaign. The leader of the Nationalist Movement Party, Devlet Bahçeli, is also on his side, campaigning for a presidential system even though some of his party’s current and former MPs have openly declared that they will say “no” to the change. Also, recent polls have suggested that a majority of the party’s voters are likely to to vote “no”. Bahçeli argues that a presidential system will help to keep Turkey together and that all terrorists will be destroyed if the new system is passed. Using polarisation as a weapon to unite conservative voters is not the only tried and trusted method of Erdoğan and his supporters. Silencing the opposition has been another aspect of their competitive authoritarian rule for some time. According to a report from the Union for Democracy, an NGO, regarding air time from 1-20 March, the “yes” coalition got 486 hours, the main opposition party, CHP, got 45.5 hours, and the pro-Kurdish HDP got zero hours. In addition, the state of emergency since the failed coup attempt in July is still in force, and opposition rallies and meetings have regularly been cancelled because on security grounds. Systematic obstruction, including physical attacks and death threats, have been commonplace. Yet, despite the uneven competition, polls suggest that this referendum may not be as easy to win as previous elections. The main opposition party has chosen a softer approach and avoided polarisation. They have not used their party symbols and have tried to unite different groups by emphasising that it is a national matter that is above party politics. They argue that this change will create one-man rule, will weaken the Grand National Assembly, diminish judicial independence, and destroy democracy, which has already had a troubled time in Turkey. The leaders of the other opposition party, HDP, and many of its MPs are currently imprisoned, and others have been silenced by the mainstream media. This party has also quietly campaigned for a “no” vote, even though there are people claiming that HDP voters of Kurdish origin have lost interest in being part of Turkey’s future and may not prefer to vote at all. The overall picture is not that of a free or fair campaign for the opposition and confirms that Turkey is competitive authoritarian regime as defined by Levitsky and Way in their 2010 book “Competitive Authoritarianism: Hybrid Regimes After the Cold War”. If this proposed hyper-presidential system is approved by the majority of people, avoiding competitive authoritarianism will become much more difficult. This entry was posted in Presidentialism, Turkey and tagged Constitutional Reform, presidentialism, Turkey on April 4, 2017 by Şule Özsoy. With President Patrice Talon keen to keep his campaign pledge that he will not stand for reelection, debate is picking up in Benin over the benefits and drawbacks of a one-term presidency. Businessman and independent candidate Talon ran for president on a promise that he would serve only one term, and won in the second round with 65 percent of the votes. Talon, known as the “King of Cotton” for his fortune made in the cotton industry, repeated the promise at his swearing in ceremony on April 6, 2016. Though the 1990 constitution of Benin allows a president to serve a maximum of two five-year terms, Talon maintains he will only stay one term in the Palais de la Marina, the presidential palace in Cotonou. President Talon is intent on ensuring that not only he, but also future presidents of Benin serve only one term in office, which according to him would reduce presidential “complacency.” Constitutional reform to improve the functioning of Benin’s political institutions and strengthen governance figured prominently in candidate Talon’s campaign platform. Once elected, he swiftly set up a constitutional review commission on May 6, 2016 which submitted its report on June 28. However, as Ulrike Rodgers writes, the commission deadlocked on whether to include one seven-year term or two five-year presidential terms among its recommended revisions to the constitution, and left the decision with the president. Other important proposed institutional changes include measures to increase the independence and the oversight capacity of the judiciary, and public financing for political parties to reduce the influence of economic interests on politicians. There is far from consensus on the benefits of reducing presidential term limits, however. This is by far the most controversial of the proposed constitutional changes. The chief advantage according to proponents of the change is that a single presidential mandate would give a sense of urgency and favor a greater concern for the public good; with only one term the president would not be distracted by having to secure support for his reelection. To back their argument, supporters point to Talon’s already significant achievements in combating corruption – including the firing of public servants with false diplomas and clamping down on police corruption – and implementing decentralization reform that had been in limbo. A faster turn-over at the presidency would also give more political leaders the chance to be elected to the highest executive office, in other words it would favor a greater circulation of political elites. Opponents counter that a single term would limit accountability as the president does not have to face the electorate again. This could, they argue, be an incentive for single-term presidents to favor their own interests over that of the public. By this logic, President Talon as a wealthy former businessman is in a unique position and constitutional reform cannot be modeled on his behavior. Successors not similarly above financial want are unlikely to be as virtuous. 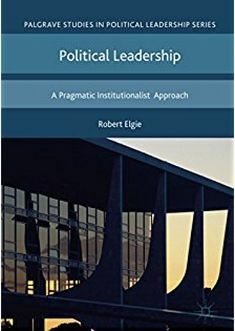 Moreover, opponents to the term reduction express concern that a single mandate is a short time for a political leader to fully exploit his or her leadership potential. A president could be tempted to favor the rise of a dominant party, to be able to continue to influence politics even after leaving office. Critics furthermore contend that changing presidential term limits will open the door for subsequent presidents to similarly tinker with term limit provisions. The full extent of the proposed constitutional changes will be known once they are submitted for approval to the legislature. According to the Minister of Justice, the government is now finalizing and intends to submit a constitutional reform bill to the National Assembly for consideration during an extraordinary session to be called before the end of March. This will not be a brand new fundamental text, but a series of revisions to the current constitution – which is vested with significant legitimacy given its origins in the 1990 National Conference. President Talon, without his own party to rely on in the National Assembly, must cobble together an overwhelming legislative majority to see his reforms pass. While Talon had initially indicated he wanted to submit his constitutional reform ideas to a referendum, before going to the National Assembly, he was called to order by the Constitutional Court. According to Articles 154 and 155 of the constitution, constitutional revisions must be passed by three quarters (75 percent) of the members of the National Assembly before they can be submitted for final approval in a referendum; should four fifths (80 percent) of legislators approve the bill, a referendum is not needed. A previous ruling by the constitutional court in October 2011, when then President Yayi was exploring options to eliminate term limits as he was coming to the end of his second term, found that presidential terms are among those provisions of the constitution that cannot be changed through a referendum. This would indicate that indeed the president will have to secure an 80 percent legislative majority for his constitutional amendments to be enacted. Talon has seemingly secured the support of the president of the National Assembly, Adrien Houngbédji. However, in the legislature elected in 2015, the Cauri Forces for an Emerging Benin coalition (FCBE), which supported former President Thomas Boni Yayi (who backed Talon’s opponent in the presidential run-off), remains the largest party with 33 out of 83 seats – enough to block the passage of constitutional reform if the coalition stays together. Some FCBE-leaders have been outspoken critics of the one-term limit initiative, but the FCBE is a fragile coalition, now that Yayi is no longer at the helm of the state. Thus, while Talon has some lobbying to do, he has a good chance that the National Assembly will back his constitutional reform. If it were to pass before April 6, he would have delivered on an important campaign promise during his first year in office – proving his principal argument that one-term presidents are likely to be highly effective. This entry was posted in Africa, Benin and tagged Benin, Constitutional Reform, presidential term limits on March 14, 2017 by Sophia Moestrup.